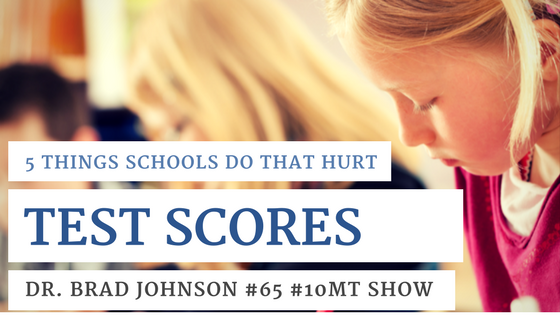 Today Dr. Brad Johnson @drbradjohnson talks about the mistakes schools make that hurt their standardized test scores. You might be surprised that sometimes the things schools do may have the opposite impact of what they intend. Consider this feedback as you prepare to administer testing this spring. I hope you enjoy this episode with Brad! Want to hear another episode on improving learning? Listen to Eric Sheninger talk about digital pedagogy that actually improves learning. Dr. Johnson is a speaker in the fields of education and leadership. He is the author of six books including, From School Administrator to School Leader, & Learning on Your Feet: Incorporating Physical Activity into the K-8 Classroom (Routledge). He teaches graduate-level leadership courses and other educational courses. The post 5 Mistakes that Schools Do That Hurt Standardized Test Scores appeared first on Cool Cat Teacher Blog by Vicki Davis @coolcatteacher helping educators be excellent every day. Meow! Today Mark Barnes @markbarnes19 discusses a popular method of problem solving: Hack Learning. Instead of a 5 year plan, this model helps educators improve on a daily and more short term basis. He gives examples of how educators are hacking (and improving) meetings and more. Let’s Hack Learning! I hope you enjoy this episode with Mark! Mark Barnes is a longtime educator, author, podcaster, and Founder of Times 10 Publications. Mark is the creator of Hack Learning — books, podcasts, presentations and other content that provides right-now solutions for teachers and learners. One of the world’s most recognizable connected educators, @markbarnes19 and his team of internationally-renowned eduhackers are turning the Hack Learning problem-solving model into a global movement. Dedicated to this mission, they are giving away 10,000 books and other free innovative digital content in 2017. Learn more at http://ift.tt/2leKrHA. 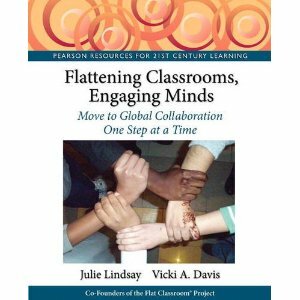 The post Fast Problem Solving and Innovation with #HackLearning appeared first on Cool Cat Teacher Blog by Vicki Davis @coolcatteacher helping educators be excellent every day. Meow! Today David Raymond @dnomyard is part of equipping Virginia high school students to defend themselves from cyber attacks. With knowledge in digital forensics and current technology, the Virginia Cyber Range is working to lead the world in educating its students on cyber security. Learn how in this wide-ranging conversation about modern security. This episode is sponsored by Bloomz, my favorite tool for parent communication. They are sponsoring April’s free webinar, 5 Habits to Start Now to Thrive in the Fall. You don’t have to give up your summer to prepare. Learn what I do now to make the fall even more wonderful! I hope you enjoy this episode with David! Want to hear another episode on digital citizenship? Listen to Alice Chen talk about 5 Things Every Digital Citizen Should Know. Here are current identity theft statistics – http://ift.tt/2qdHNAE It looks like that our students may actually be much more likely to fall prey to identity theft with those 20-29 having a 1 in 4 chance! David Raymond @dnomyard is Director of the Virginia Cyber Range, Deputy Director of Virginia Tech’s IT Security Office and Lab, and adjunct faculty in the Bradley Department of Electrical and Computer Engineering at VT. He has taught networking and cybersecurity courses for over 10 years at Virginia Tech and at West Point and is a retired U.S. Army officer. The post Teaching CyberSecurity to Empower Students and Schools to Be Safe appeared first on Cool Cat Teacher Blog by Vicki Davis @coolcatteacher helping educators be excellent every day. Meow! Today Jennifer Cronk @jenniferacronk helps us empower those with special needs. She shares her treasure chest of favorite edech tools for those with special needs. This show is a must-listen for special needs teachers. I hope you enjoy this episode with Jennifer! Want to hear another episode on helping people with special needs? Listen to Jennifer’s show last week talk about Motivating Special Needs Breakthroughs. Links are coming soon. Awaiting transcription. Jennifer Cronk is an Assistant Manager of Emerging Technologies for the Southern Westchester BOCES in New York. She currently oversees and strategically plans the Google Apps transformations of several school districts in Westchester county. Jennifer began her career in 1996 as a computer teacher and passionately pursued the ed tech field for twenty years. Jennifer presents nationally at instructional technology conferences, and workshops on integrating Google Apps and other emerging technologies into learning. She is a Google Certified Innovator and Google Education Trainer. In addition, Jennifer is also certified: administrator, english teacher, elementary teacher and educational technology specialist. Jennifer also blogs about “digital parenting”, professional development and educational technology at http://ift.tt/1h6vM4g and is a co-host of the blab.im show “Positively Special Ed”. 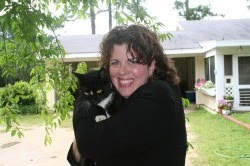 The post Special Needs #edtech treasure chest with Jennifer Cronk appeared first on Cool Cat Teacher Blog by Vicki Davis @coolcatteacher helping educators be excellent every day. Meow! “Tell me, what is it you plan to do with your one wild and precious life” Mary Oliver. Today’s guest, Joan Flaherty, author of Rest and An Approach to Rejuvenating our Teaching and Ourselves, talks about how we can combat emotional fatigue. Teacher, you have one wild and precious life. Our students do too. We need to use it well. I hope you enjoy this episode with Joan! 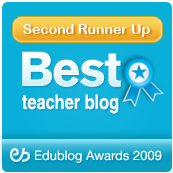 Want to hear another episode on rejuvenating your teaching? Listen to Angela Maiers talk about Unleashing Genius. I’m a faculty member in the School of Hospitality, Food and Tourism Management at the University of Guelph, Canada, where I teach communications. My research is in the area of teaching and learning. The post Combatting Emotional Fatigue: A Teacher’s Occupational Hazard #mondaymotivation appeared first on Cool Cat Teacher Blog by Vicki Davis @coolcatteacher helping educators be excellent every day. Meow! Twenty percent time from Google. Or a genius hour. Or passion projects. Or compassion based engineering. I’ve written about these before. First, I’ll define the terminology. Second, I’ll give you an example from my classroom happening right now. Finally, I’ll take you through nine of the components that help teachers have a successful 20% time in their school. I hope this gives you an overview of how students can make choices and pursue their passions in school. Based on the Google 20% time, students take 20% of their time in a class to pursue a personal interest project. This can be done in consecutive days or one day a week. Often schools who have arts, STEM or other enrichment choose to take one enrichment period and have a “genius hour” where students explore their talents to make and create. A student is allowed to select a project in a course of study that is of personal interest. Some people might call it a personal interest project. For our beginning of the year passion projects, some students chose to teach others about our robotic filming Swivl tool and app. Students design and make things to meet a social need or good. I find myself doing far more compassion-based engineering than other topics. I first heard this term from Angla Maiers, creator of Choose2Matter. Some schools will host an innovation week with an altered schedule. The purpose of the week becomes making, inventing, and creating. Often students will have a competition or showcase at the end of the week where people are invited to see or judge their works. Many schools are creating maker spaces or “Fab Labs” so students have a space and place to invent. Some libraries are putting these in a Learning Commons. (See Micki Uppena or Chad Lehman as examples.) Communities and nonprofits are emerging to share in the cost of 3d printers, laser cutters and more. We started the school year with passion projects. Here, students are assembling Google cardboard and picking apps to use with it. This year my ninth and 10th graders are working with students from other schools in MAD about Mattering 2017. In this project, students from around the world are collaboratively building apps. Students 13 and older are in MAD-Senior, and 12 and under are in MAD-Junior. I have over 50 students participating on ten apps on MAD-Senior. What kinds of apps are students building? To give you some examples of the types of apps they are creating, let me give you three. These apps aren’t available yet and are just a few of many incredible apps we’re developing here. The Brave app is being designed to help promote bravery. These kids found that not much research is being done into bravery. They think that kids need to learn to be brave to live a good life, but also that there is a difference between bravery and foolishness. Wow. Looking good! In the Brave group, students are talking about what makes someone brave. We had some interesting conversations on the difference between when you’re brave and when you’re just foolish. Another app called Stop Pollution is trying to help kids know how to stop pollution and how they can all help. The kids are curating videos that appeal to teenagers and other things. But perhaps the HELP app which stands for help everyone live peacefully. This app is quite intriguing because the students are putting things in the app to try to help people to get along. All of these are examples of where students are given a choice. Now we didn’t call it 20% time or genius time or our passion project. We just call it compassion-based engineering. Students choose their social issue, their teams, and make apps together. Can Students Bring Passions to Play? But the big issue is in our schools, is there ever something during the day were students are allowed to choose. Is there ever a time when they can bring their passions to play? As I thought about it, I have found that there are nine ways to unleash student creativity when you’re doing something like 20% time or genius or passion projects. Here, one of my students is working with his custom built Arduino robot. We have to make time to tinker for these sorts of projects to emerge. in an open-ended way. They’ve always been told what to do. But we can’t stop at just giving students a choice of topic; students also need to choose their form of expression sometimes. These students decided to create a car powered by the kinetic energy of a tape measure contracting. Some students will choose hands on activities while others will embrace technology. But they choose! Jennifer Cronk, a special ed teacher and mom of a young man with special needs, recently talked with me about his PTO application for outstanding teacher. The PTO had always required an essay, but in this case, they allowed her son to submit his nomination via video. Give choices. Don’t say “make a PowerPoint” or “do a poster.” We really need to give students freedom of topic and freedom of medium if we want to unleash real creativity. “Well, it is not a quiet place and that has mixed reactions, but it is definitely not quiet. There’s books all over that represents all different kinds of kids. We have activities like we have the Legos and the cardboard and K’NEX . And then we have a creation station that has this treasure box in it. And it’s a place where teachers and parents and kids can just dump their treasures from their classroom and kids create something new with it. That brings us to our third example. Keva plank challenges are a popular happening n Chad Lehman’s library maker space. Have a variety. Things you can program. Things you can touch. Things you can press. Build. Make. Things you can Extrude. Recycle. These are all parts of having a variety of tools. And when you see it happening, it’s pretty incredible. Micki Uppena says the green screen is one of the most important things for a modern library to have. But sometimes when the students are playing with those tools they need a teacher who can spot your strengths. I like to tell my students at the beginning of the school year that I am mining for diamonds. And sometimes I’ll show them this big ugly rock before I say it and asked them what it is. Only one student had ever guessed that it is a diamond because it looks like a big old ugly rock. And that’s how our students look. Sometimes when we first spot them they aren’t a beautiful diamond; they are kind of rough. So I’m always on the lookout. It is my personal goal for every school year: to find at least one thing every student does better than every other student. Notice strengths. And this is an important part of a genius hour or passion projects. Find teachers who notice what their students are good at doing and not just their student’s mistakes. Choices extend to classroom decorations where I gave students an option to pain the ceiling tiles. I love this one. Every time I look up, I remember that I’m letting students live this motto. Where I made horrible mistakes with genius hour is when I just gave them all materials and said just play. And that’s what happened. Some kids just don’t do anything at all. Play with guidance. You do have to give some advice. You do have to have some expectations — whether it’s having students reflect or share a picture or demonstrate what they’ve done. If you don’t, you may feel like the first time I did genius hour — like you wasted your time. Of course, those few students will excite you. But your goal is to have 100% participation with all of your students and not just a few who are self-starters and motivated. Chad Lehman’s maker space includes challenges and lots of options for students. Chad presents those choices to students, so they aren’t overwhelmed. Sometimes the secret of great teaching is not jumping into soon. Sometimes kids need to struggle just a little bit so they can learn to solve problems. And this is the hardest thing for teachers. It’s facilitation. I mean, we always talk the old “Oh, you want to be the guide on the side rather than the sage on the stage.” In this, you are challenged to literally do that. In many cases, it means sit on the sides and watch your kids learn. You are not to get involved, you are not to tell them what the answer is even if they’re begging you unless, of course, they give you a hint card. It is hard to not give answers to students on their first request. I know when I was growing up and playing with the computer, we didn’t have the Internet. All we had was a book. It didn’t have much about as the computers had just been invented. So, I had to struggle a lot, and I learned a lot. But a lot of students want the answer NOW. I do help, but there’s a difference between helping a child learn and becoming their external brain. Kids can’t put me in their backpack and take me to college. (Thank goodness!) They’ll only have the software we’ve taught them to use – THEIR BRAIN. My former student, Andrew Stargel, (one of the students on the original Flat Classroom project), comes back to share his filmmaking skills with my students as they make their Christian movie, Unspeakable. We won’t finish it this school year, but we’ve still learned so much. Sometimes when you’re making and creating, your product goes a totally different direction. For example, in the film project that I’ve been doing, we just don’t have enough time to finish it. So, instead of giving up, I’m having students create scenes. We’ll release just one or two scenes on YouTube in hopes of maybe garnering some attention for that. Adapt. When you do passion projects sometimes things go in a different direction, and you just can’t finish it the way you envisioned it, and you have to adapt and still be happy and realize that you did learn a lot. We know that an audience improves student performance, so we want to have an audience. Plus an audience is just fun! When the MAD about Mattering project finishes in the students are done, they’re going to compete in an online presentation “shark tank.” (Stay tuned.) This presentation will be part of sharing their work with the world, and it’s a lot of fun. Teacher Rayna Freedman’s fifth graders publish a blog post a week for a larger audience. Plus, you don’t want to do wastebasket work because that just doesn’t make a difference. Publish. Students can safely publish for the real world. It is being done hundreds of thousands of times a day. Most fears are unfounded. There’s a way to publish safely. So much making and building is going on in Chad Lehman’s library, that they are converting an adjacent computer lab into the maker space. All this activity has created some challenges, but Chad sees these as great challenges. The library is popular again! As a teacher, we have always to be learning. Our students do too. No project ever goes as I expect. Some have great things happen, and some have disappointments. But, we celebrate our learning no matter what we do. We innovate and make those projects better the next time we do them. Celebrate learning. Level up. A project doesn’t have to be perfect or even be finished to be a successful learning experience. Where can we tinker and create? But I think in the end, every school should ask themselves is there one class where students can create and can invent? I truly think this makes a more creative student. And, we found in the United States that are creativity scores are declining for the first time in measured history. We have to do something to help our students get more creative. Maybe we just need to give them time with a little teaching savvy on the side. The post 9 Fine Ways to Do Better 20% Time appeared first on Cool Cat Teacher Blog by Vicki Davis @coolcatteacher helping educators be excellent every day. Meow! Plus, Rob gives a 40-second pitch to teachers about the reasons they need brain breaks in their classroom. Have some fun! Take a break! You might need these especially as kids are taking high-intensity tests to help kids refresh and gear back up. I hope you enjoy this episode with Rob! Want to hear another episode on something fun to try with your students? Listen to Dr. Tim Green talk about using Aurasma in the classroom. Transcript coming soon. Awaiting from transcription company. Rob Donatelli is a business & computer science teacher at Dallastown Area High School. He is also the founder of the Donatelli EdZone. His passions include school leadership, education technology, presenting, entrepreneurship, and coaching. Follow him on YouTube at the Donatelli EdZone or on Twitter @DTown_MrD. The post 5 Easy Brain Breaks for Your Classroom appeared first on Cool Cat Teacher Blog by Vicki Davis @coolcatteacher helping educators be excellent every day. Meow! How much time on devices is too much time? Should kids put up their smartphones and talk to each other and parents sometimes? Are we using technology too much as parents? Today, for Thought Leader Thursday, Weston KieschnickWeston Kieschnick @wes_kieschnick and I have a conversation about digital parenting. There aren’t easy answers but one thing is sure, we won’t find answers without having the hard conversations. This episode, blog, and webinar are sponsored by Bloomz, my favorite tool for parent communication. They are sponsoring April’s free webinar, 5 Habits to Start Now to Thrive in the Fall. You don’t have to give up your summer to prepare. Learn what I do now to make the fall even more wonderful! I hope you enjoy this episode with Weston! Weston Kieschnick is a Senior Fellow at the International Center for Leadership in Education. His thought leadership around blended pedagogy has been published in Education Week, Ed-Tech Magazine, and The Learning Transformation: A Guide to Blended Learning for Administrators. He also created and hosts Teaching Keating, an acclaimed podcast where pop-culture and pedagogy collide. Mr. Kieschnick has worked with teachers and school leaders from every state in the US and more than 30 countries around the world. Districts where Weston provides keynotes, teacher development, and coaching have been recognized among the top ten in the country for their work in educational technology. During his tenure in education, Weston has served as an award-winning Teacher, Assistant Principal, and District Level Administrator. Weston resides in Colorado with his wife Molly and his children, Everett and Charlotte. The post Tips for Successful Digital Parenting appeared first on Cool Cat Teacher Blog by Vicki Davis @coolcatteacher helping educators be excellent every day. Meow!